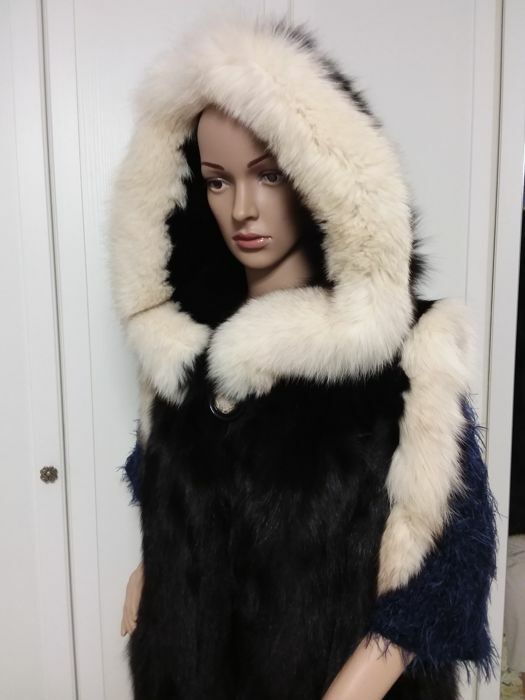 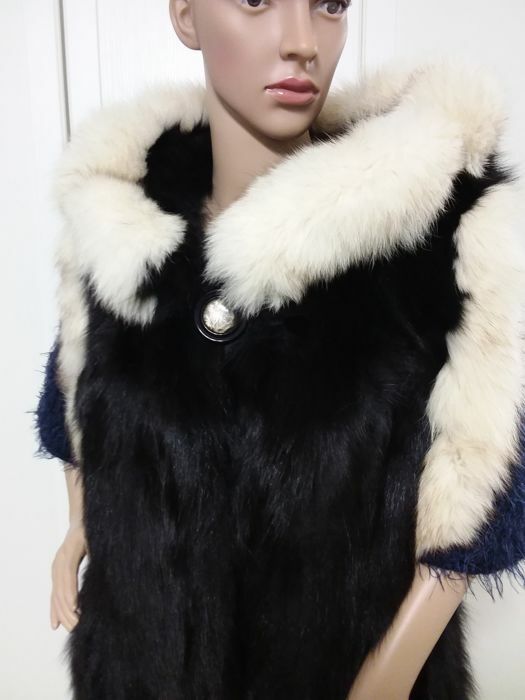 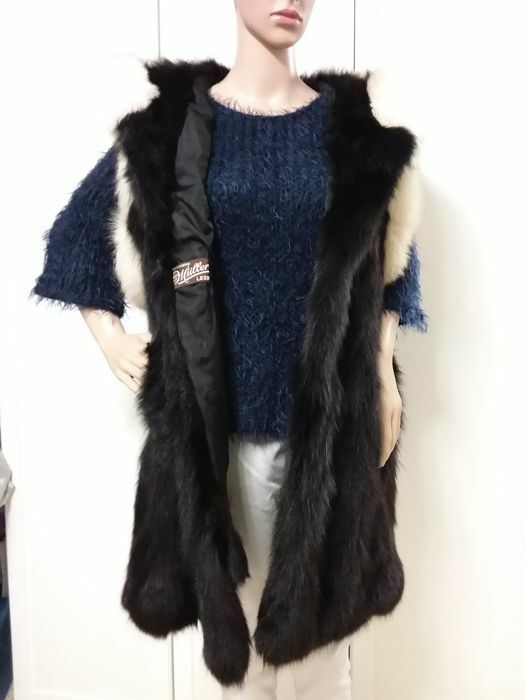 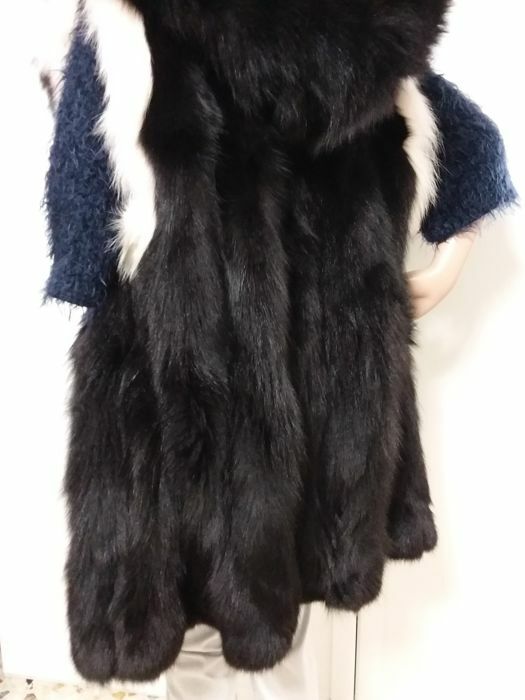 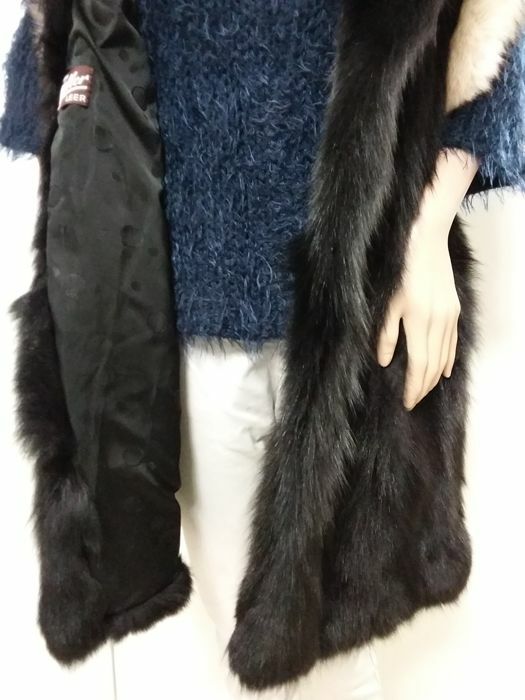 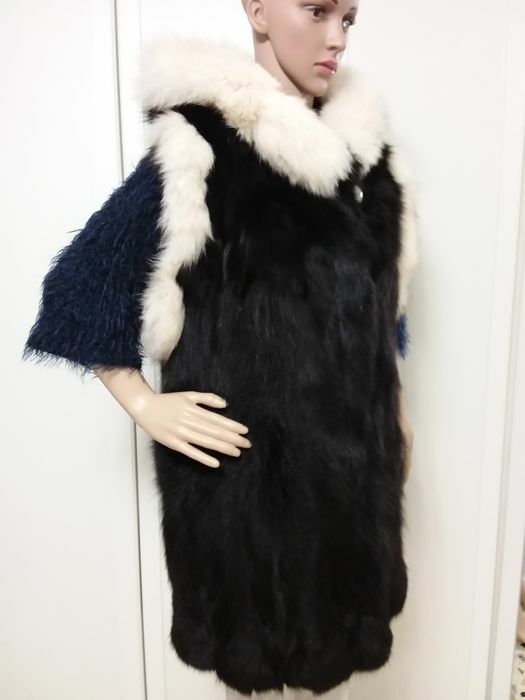 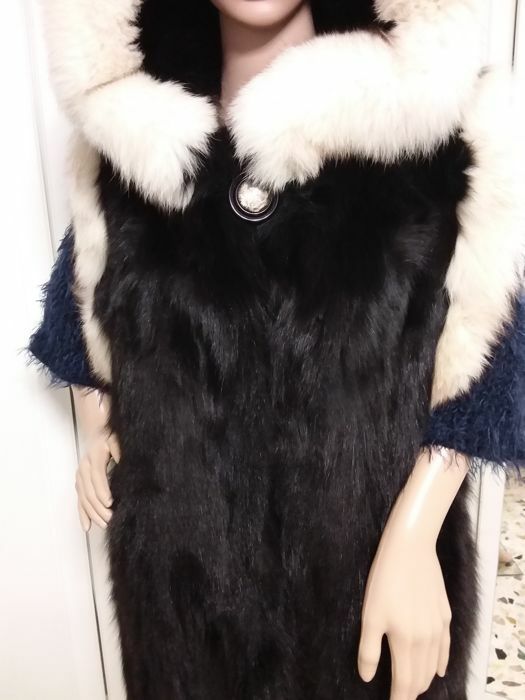 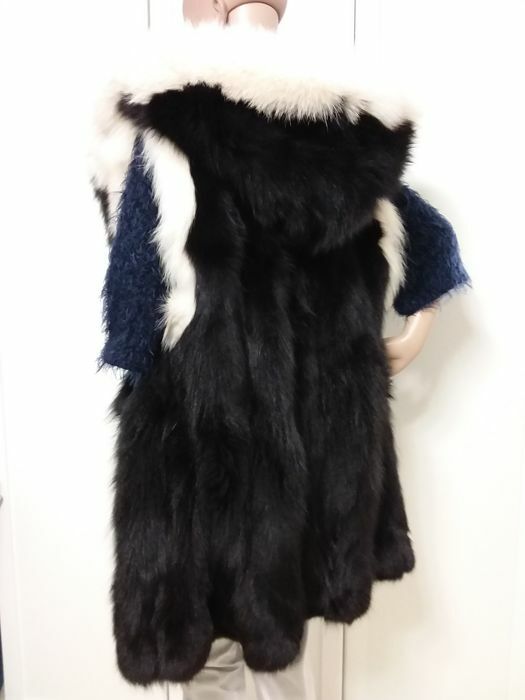 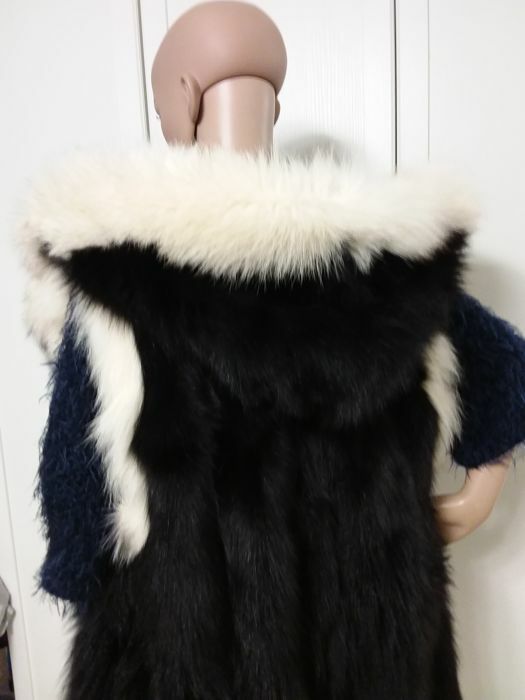 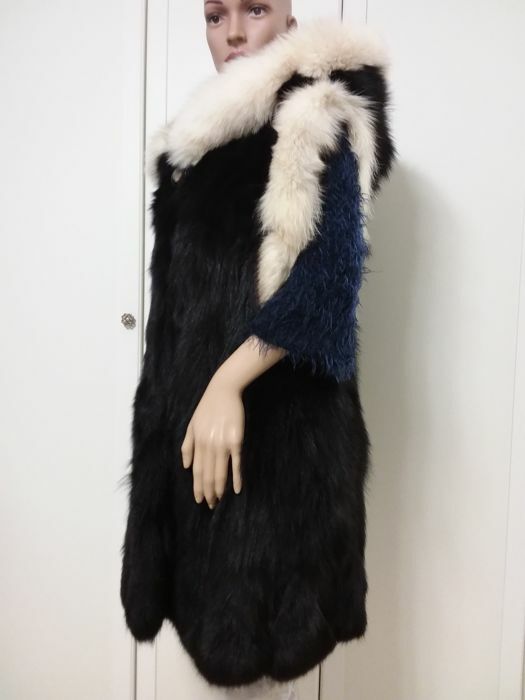 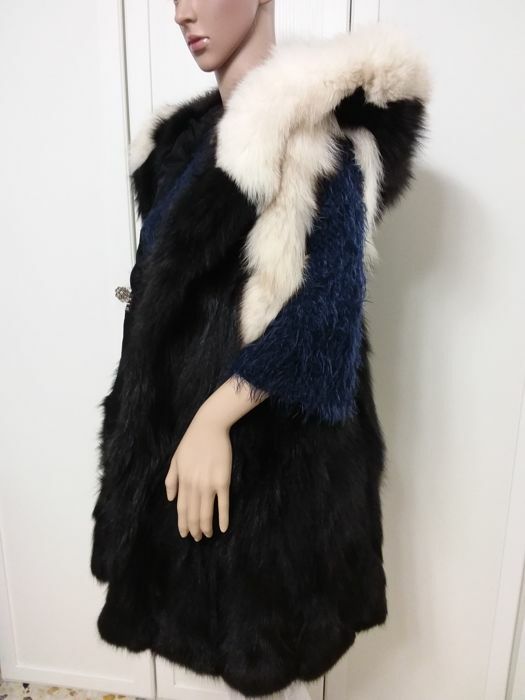 Fox fur waistcoat/sleeveless jacket with large hood. 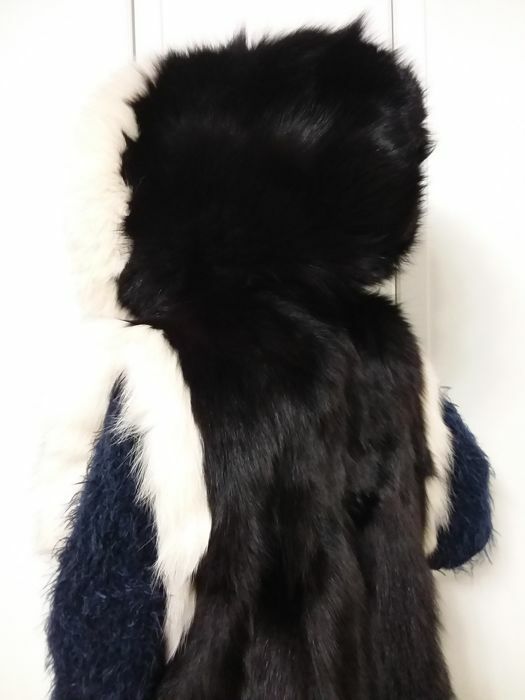 Made of 100% fox fur. 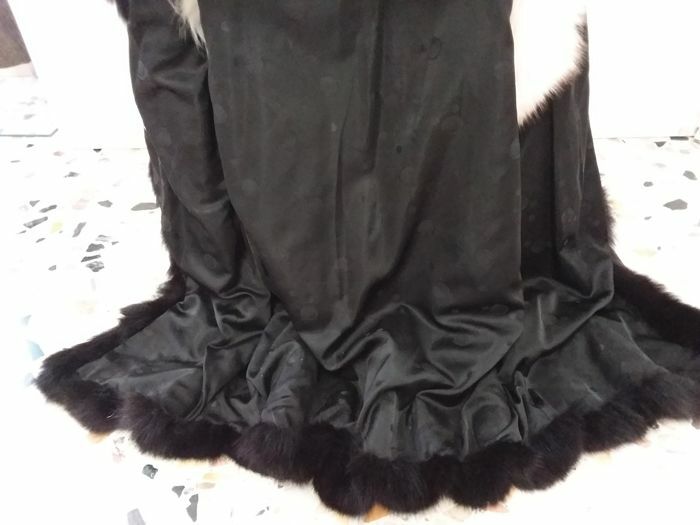 Colour: black and white, as in photos. 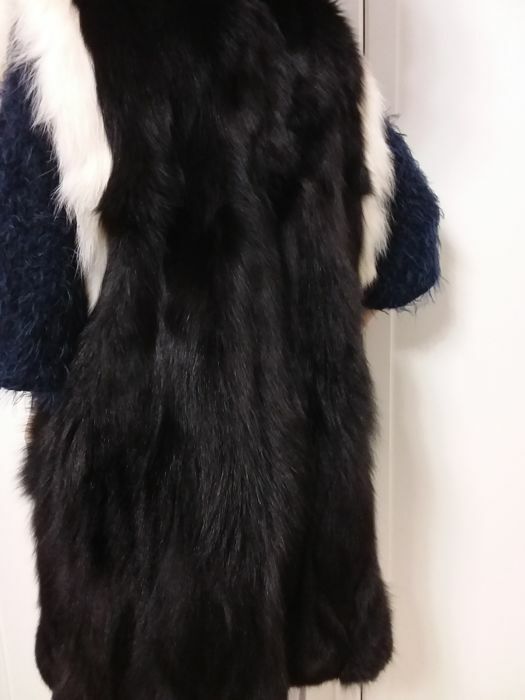 Closure with hooks and button under the collar. 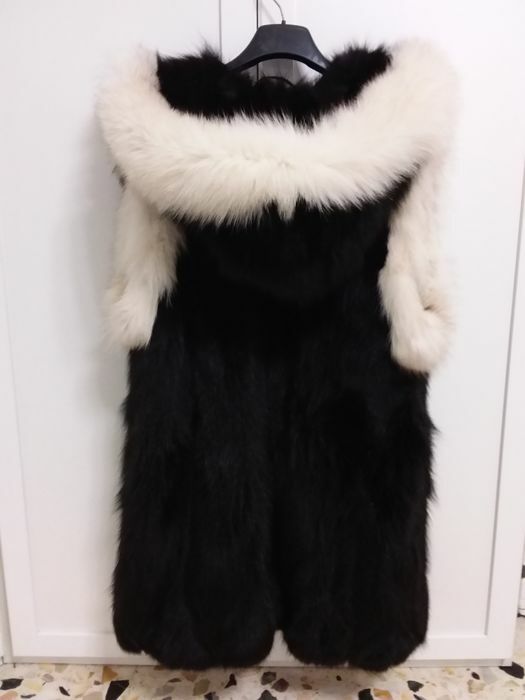 A used, but well-kept fur coat. 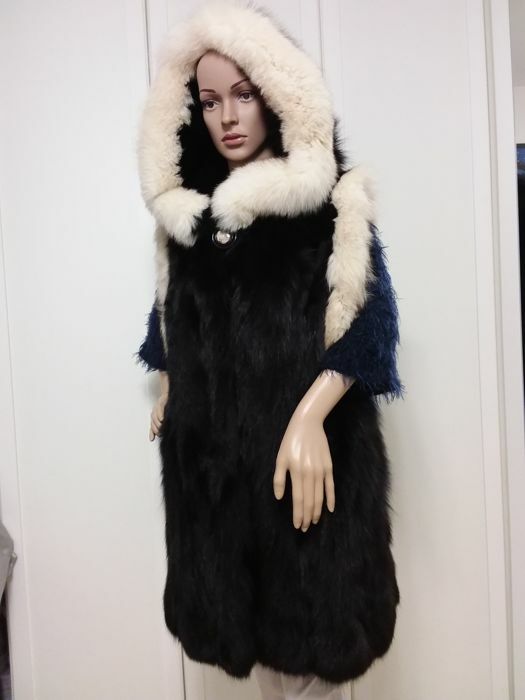 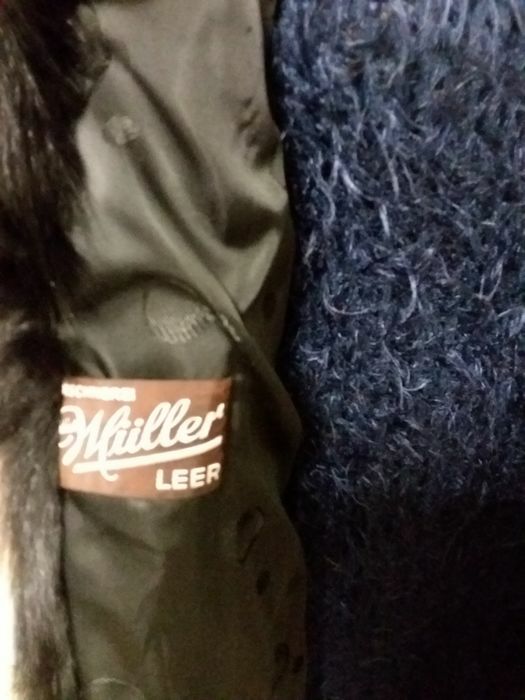 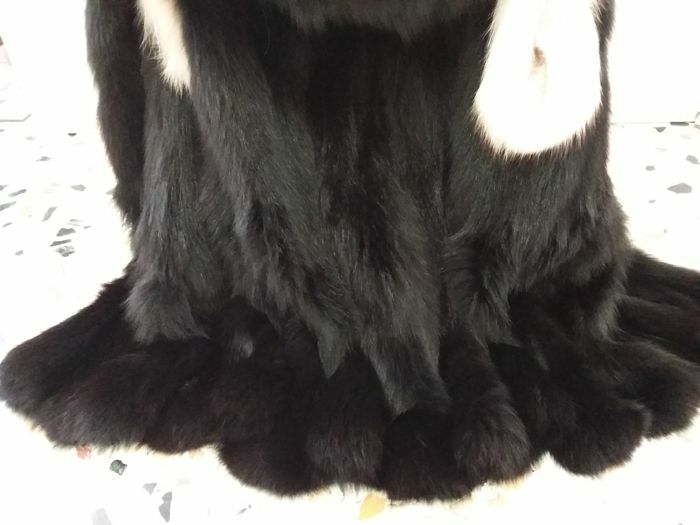 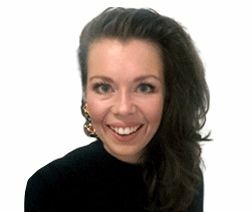 The fur is lightweight and not bulky. 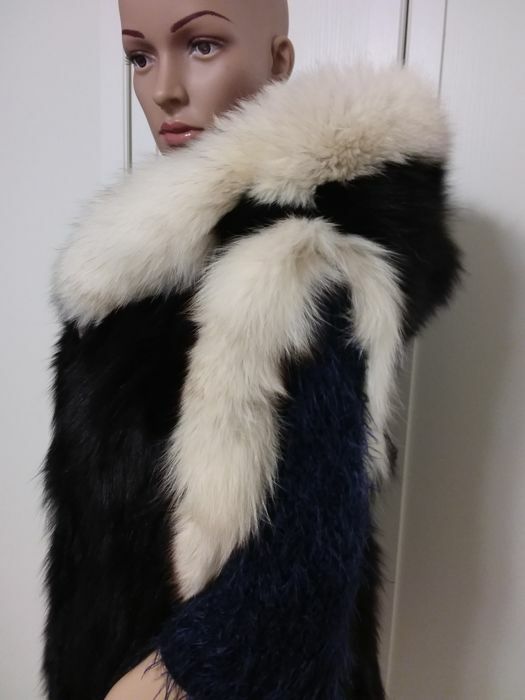 Contemporary model - clean and ready to be worn. 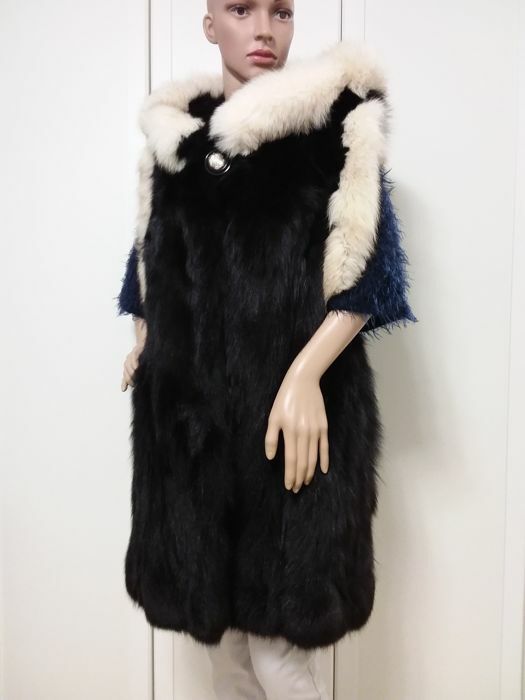 Size: 48 (IT) / L-XL / 40-42 (EU). 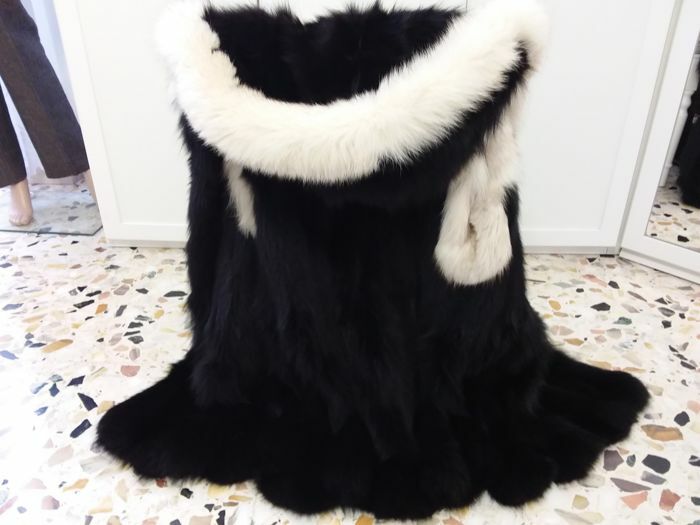 Chest: 53 cm x 2. 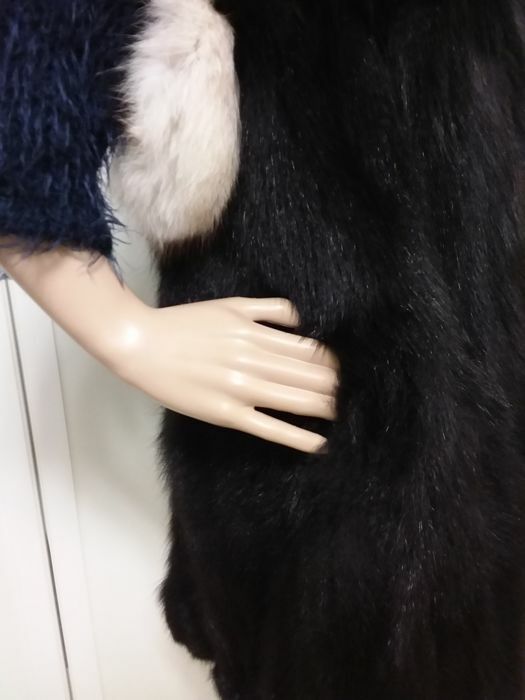 Waist: 58 cm x 2. 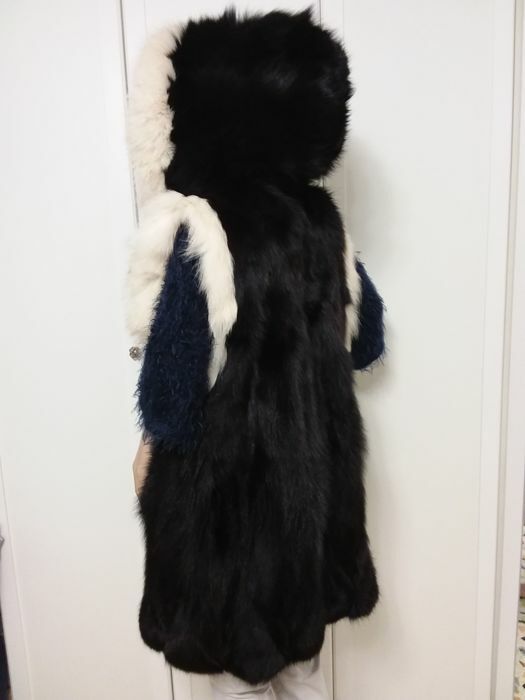 Hood height: 34 cm. 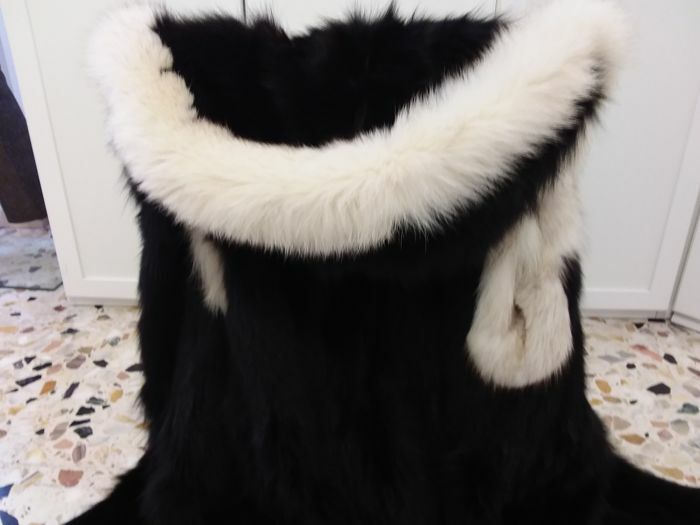 Depth: 34 cm x 2. 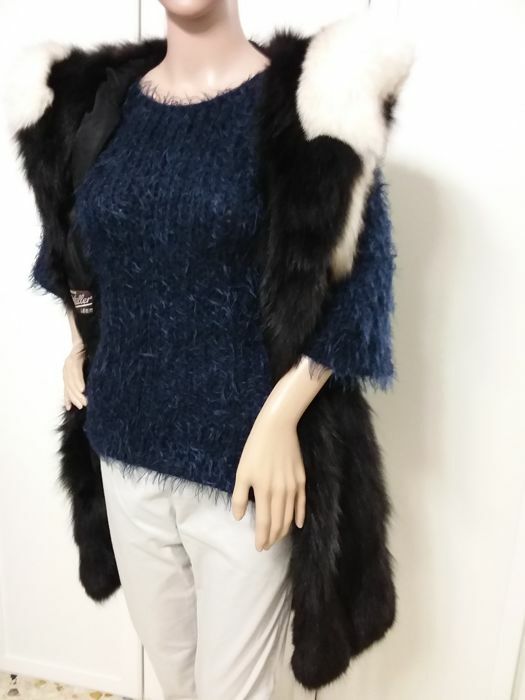 Shipping via Poste Italiane, with tracking.